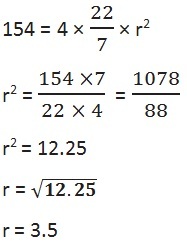 Assume π = 22/7 , unless stated otherwise. Q4. The radius of a spherical balloon increases from 7 cm to 14 cm as air is being pumped into it. 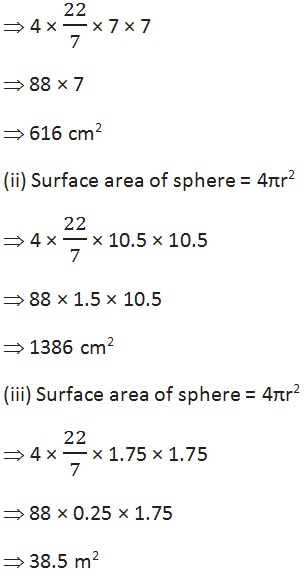 Find the ratio of surface areas of the balloon in the two cases. Q5. A hemispherical bowl made of brass has inner diameter 10.5 cm. 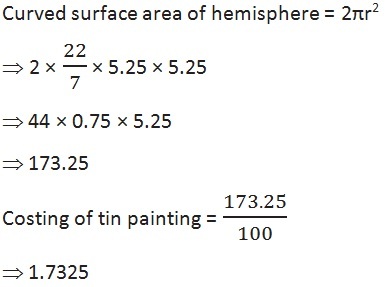 Find the cost of tin-plating it on the inside at the rate of 16 per 100 cm2. Q6. 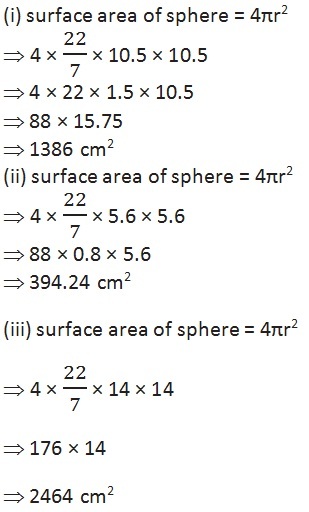 Find the radius of a sphere whose surface area is 154 cm2. Q7. 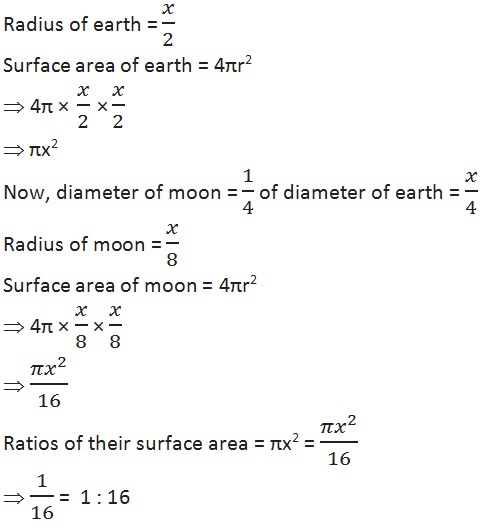 The diameter of the moon is approximately one fourth of the diameter of the earth. 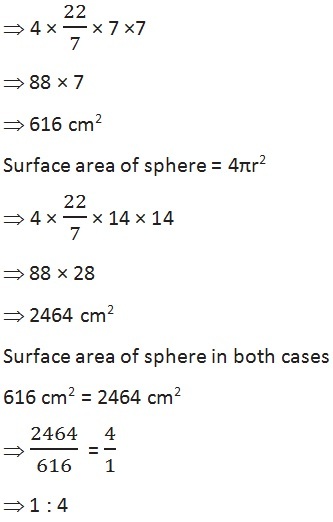 Find the ratio of their surface areas. Q8. A hemispherical bowl is made of steel, 0.25 cm thick. The inner radius of the bowl is 5 cm. Find the outer curved surface area of the bowl.